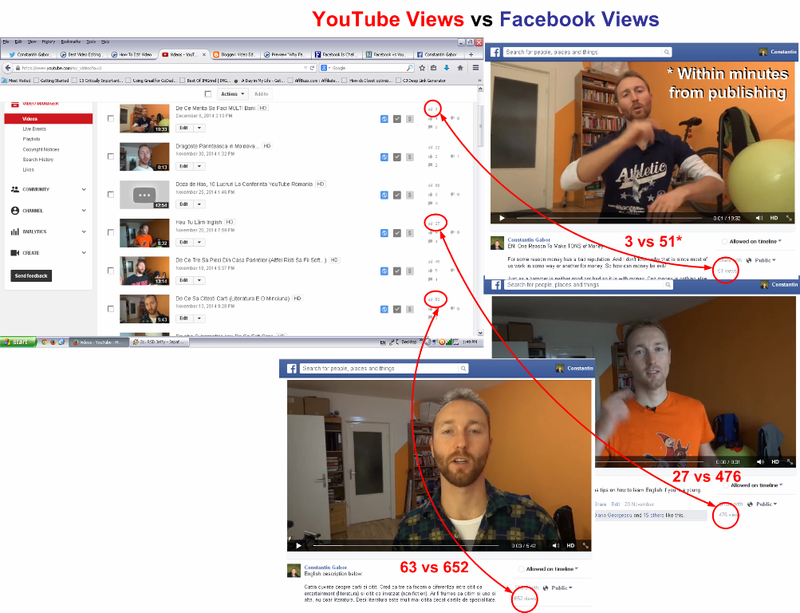 The short answer: you get more views on Facebook than anywhere else (they now show view count for videos). Not everyone has a Gmail or YouTube account but almost everybody has a Facebook account. Not everyone stays logged into their YouTube account but almost everyone stays logged in on Facebook throughout the day. Since not everyone has a YouTube account, it means not everyone can subscribe to your channel (whereas a lot more people can follow you, like you or friend you on Facebook). Uploading directly to Facebook means the content is within Facebook - it's a natural experience for the Facebook user. With the automatic playback your vids will for sure get at least some views on Facebook (within minutes from publishing even if you only have a a few connections). On Facebook everyone can comment and share. The engagement is higher since the platform itself was built for conversation not just for hosting content. There is more social value to your content on Facebook because a friend of a friend of a friend can see your content and then befriend you. On YouTube a new subscriber is just an anonymous person whereas on Facebook a new view means a possible new connection. It's a network effect far more powerful than on YouTube. Tagging means you can "dedicate" your content to certain people who will be automatically notified. Pretty cool! On average, for tens of views on YouTube I get hundreds of views on Facebook (+ more comments and a few shares) on each video. There's a sad aspect to it, I guess - the fact that people spend more and more time on Facebook (not doing real work). Add a Facebook URL signature as well apart from the regular Subscribe button (I use both: youtube.com/catascouts and facebook.com/highballsport at the end of my videos). No matter where people see your video they can choose one of the two platforms to connect with you. I wonder if Facebook will take content creators seriously like YouTube does. It'll be cool for them to offer options like custom thumbnail, click-able annotations, subscribe buttons, playlists and of course a Videos tab on your personal Facebook profile. So give it a go. Upload your next video onto Facebook as well and see what happens.